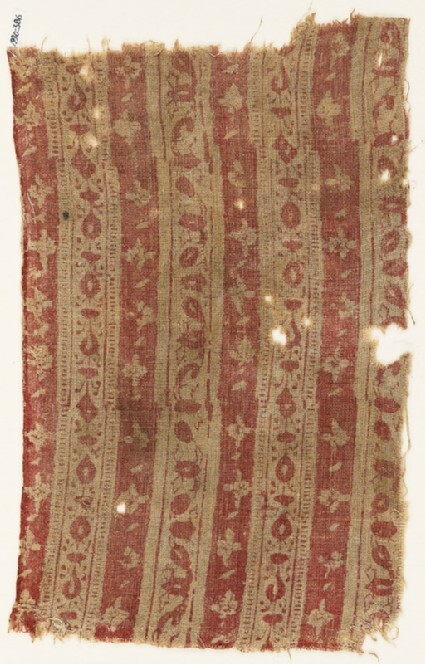 White bands with red flowers and leaves alternate with red bands which have rows of single white flowers. There are two versions of the white bands; in one the flowers are part of a continuous vine, in the other the flowers are set in a row. Selvedge and some remains of stitching. The reverse is not saturated with dye. The size of the block used is 15 cm. x 12 cm.